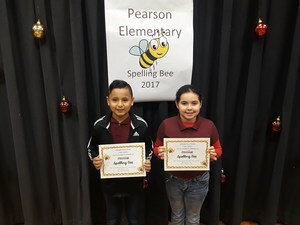 After nine intense rounds of our Spelling Bee, we have our top two winners for Pearson Elementary. These students will be representing our school at the district wide Spelling Bee. Congratulations!